All my favorites this year, no advertising dollars just my own ideas to share with you guys, gifts are all under $50. Hope this helps take some of the stress out of this chaotic but wonderful time of year! 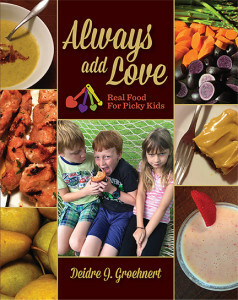 Sorry to take the obvious route here by listing my book first, but I really believe in my new cookbook “Always Add Love, Real Food for Picky Eaters” and have had some rave reviews by neighbors, friends and strangers. Makes a great gift for under $20, filled with recipes made from the ingredients most families buy every week (apples, beans, ground beef, chicken, pasta, potatoes, eggs) and most importantly, they work! I have some personal stories through out my cookbook, but let’s face it, I have never cooked for Prince! Guess who has? Alex Guarnaschelli has! I just love reading her knew book so I know it is perfect for that friend you have with so many cookbooks she doesn’t know what to do; and, the friend who can sit down on a chilly Sunday by the fire, reading cookbooks like they are novels. This book is for that person. “Comfort Food, The Way I Learned to Cook” includes amazing recipes and advice, but it reads like a letter from your sister (if you had a sister who actually cooked for Prince and had a story to share that is!). 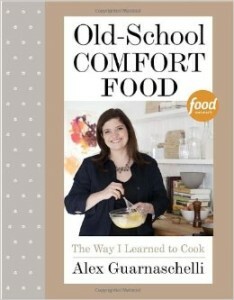 Ms. Guarnaschelli was so down-to-Earth and warm in person when I met her at the NYC Wine and Food Festival this October, so I was very excited she wrote a book about my favorite food ‘comfort food’ (is there any other kind of food?). Her book includes very personal stories and family photos, and many recipes that I can’t wait to try. This is a ‘home run gift’ for those who appreciate a great story teller, as well as a culinary genius as approachable and real as Alex, and want to read more about her life and learn her cooking secrets. A very personal book by Jamie Oliver, “Everyday Super Food” came out in October, 2015. 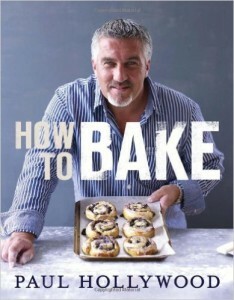 Jamie has always been a champion of getting families back into the kitchen, cooking real food, so I am a big fan of his! 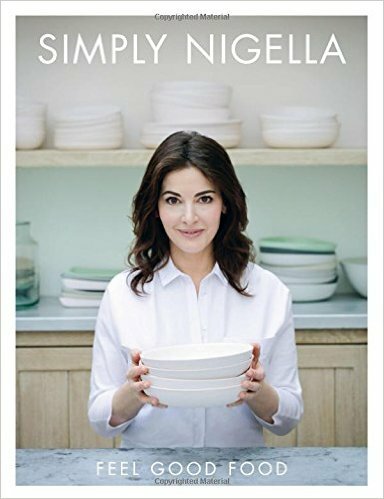 Nigella Lawson, the queen of the British kitchen (as far as I am concerned) published “Simply Nigella, Feel Good Food” this month, November 2015. 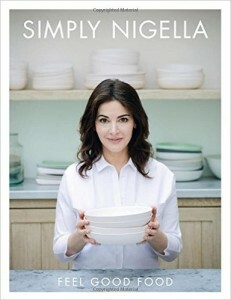 I always believe Nigella, and trust her recipes implicitly. She has such an obvious love of enjoying food and passion for preparing food; and, that love and passion comes through in her recipes! Everyone brings wine to a party, how dull. 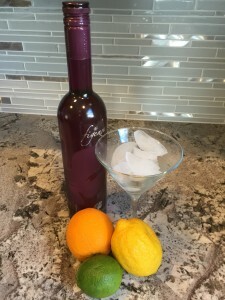 What I would recommend you bring to your next holiday bash is a gorgeous, lavender bottle of the most amazingly smooth and sweet vodka I have ever drank: Figenza vodka, It has become an adjective around my house, I don’t have parties, I have Figenza parties! There are so many drinks you can make with this, it is as versatile as a regular vodka (think citrus juices, Cointreau, dry vermouth or even bourbon or St-Germain liquer to balance the sweet tones) but it tastes so great that I enjoy it on the rocks, naked, nothing else needed. Figenza is made with figs from Greece and Turkey, they claim it ‘represents the essence of Meditreranean soul’. It comes in the most striking packaging, if you show up at any home with a bottle Figenze, you are sure to be the hit at the party! My clear favorite mixed drink is called “The Sun Kiss”. All you need to have in the house to make a big patch of these, is a bag of fresh oranges and a couple liters of club soda. I literally only had to section the oranges (some into 3 large wedges each then I sliced a couple for garnish), squeezed a wedge per 2 ounces of Figenza in a cocktail shaker, added a splash of club soda, shook it up and served it straight up in a wine or martini glass with a slice of orange on the rim. Amazing and refreshing (and can I say healthy? It does have some vitamin C after all). As you know, I just completed a major renovation to my kitchen/entertaining space. Even with all the extra cabinet space I now enjoy, I am still overflowing with kitchen equipment so I swore off buying anything more. Then, I hosted both a kids party and a n adult party, and the one item I felt I was missing was 1 (or 3) cake platters for dramatic effect on my dessert table. One King’s Lane to search around and found some beautiful choices. 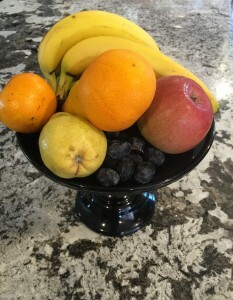 When entertaining in my pretty new space, one thing I believe makes the food look even better is how you display it. Adding height to a flat table of food makes it all look more beautiful and allows for party goers to grab food as they pass. 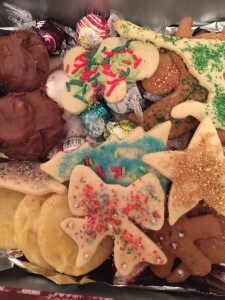 I am going to use these cake plates for more than cakes, they also will hold my holiday cookie assortment and in the warmer months I will dress them up with fruits and assortments of cheeses and crackers. I bought 2 of the “rustic cake plates in saphirre” which was low but very reasonably priced, and one of the raspberry “Flint glass cake plates” (pictured) that is a bit taller for contrast (looks sleek and black). The company provided great customer service and shipment was quick. I find these cake plates useful and so good looking, it should be a hit for that family member that hosts the holidays each year, they will find the cabinet space for these lovely items! I am seeing more and more attention this year given to personalized cutting boards, and the one I like most is sold on Etsy. 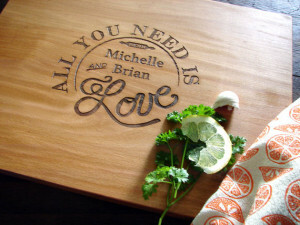 These are handmade and reasonably priced cutting boards, one of which is perfectly suited to our theme “All you Need is Love” and comes from The Cutting Board Shop. Their boards range in price from $35-$45, so a great deal for a personalized gift. A Gift for that Big Burly Man in your Life! Who can ever figure out what to get for Dad, or your brother, or for that matter your husband? Guys are tough to shop for, unless you can break the bank and buy them cutting edge electronics or a car or something – what to do? Another tie? Lame. 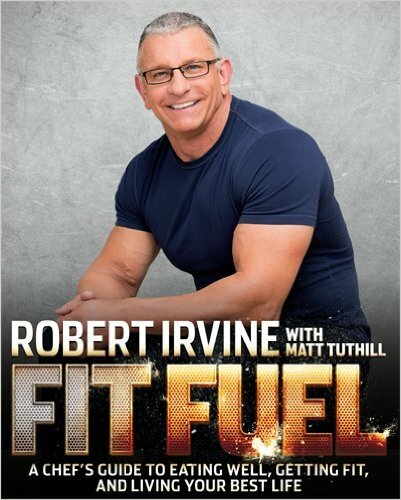 This year, one of the first holiday gifts I bought was a copy of Robert Irvine’s book “Fit Fuel: A Chef’s Guide to Eating Well, Getting Fit and Living your Best Life” for my hubby (good thing he doesn’t read my blog except when I guilt him into it, or the surprise would be ruined.) Even though my husband clearly isn’t the cook of the house, he sure likes going to the gym – so this book is perfect. Fit Fuel covers not just healthy recipes, it discusses goal setting, resistance training and then teaches how to eat real foods and be healthy, without deprivation (my kind of philosophy). 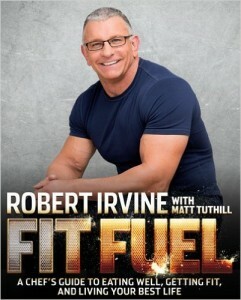 I can’t wait for Steve to take advantage of Robert’s years of experience and wisdom on health and fitness. We both met Robert at a Food Festival and he was a warm and generous guy that we both admire, so I doubt I will have to coax him to read this book. May seem weird in a cold climate to recommend an ice cream maker as a holiday gift, but as far as I am concerned, ice cream is great year round! This Cuisinart Frozen Dessert Maker in a bold red will not only look good on the counter, but it makes the ice cream in under 30 minutes so it’s practical. The fact that it is made by Cuisinart is a plus as well, I don’t know what I would do without my mini-prep and it has lasted for years. This is the only item on the list that is not technically under $50, but it is close. Another tool I use all the time is my immersion blender, the Conair Cuisinart Smart stick also comes in red and over a dozen other colors. I have recently started using this tool to make a smooth 20 minute sauce and blend cream soups like my creamy potato leek soup. The kids love when I make the texture smooth and creamy, and are more likely to eat the finished product. I love England, and can’t wait to go back once the kids are old enough to appreciate it (and we scrape up enough $$ for 5 plane tickets and accommodations!). For now, what makes me feel closest to being in London, jumping on and off the “tube” on an adventure, is a great bar of British chocolate (yes, I know they are now owned by a US firm, but the original recipes remain unchanged). 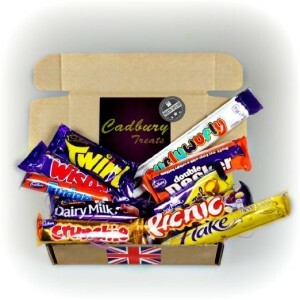 I would recommend purchasing this, or similar set of Cadbury chocolates, for the Anglophile or Brit who is far from home: Cadbury Bar Lover’s Mega Chocolate Box, a big box of love for only $13.99! There are many books out there that can help you disappear into the streets of France for an afternoon, but for the cook who loves France I recommend trying this title, “A Kitchen in France: A Year of Cooking in my Farmhouse” by Mimi Thorrison. This was her debut cookbook from 2014. 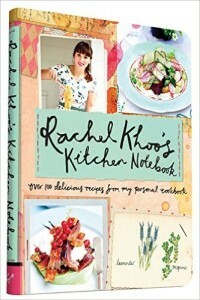 Another idea that is more of a hybrid of British and France is to invest in Rachel Khoo’s latest cookbook that came out October 2015, “Rachel Khoo’s Kitchen Notebook: Over 100 Delicious Recipes from my Personal Cookbook“. Rachel Khoo was raised in London, then lived in Paris where she learned much of her cooking. I love Rachel Khoo’s show and have her second cookbook “The Little Paris Kitchen” and would like to add this one to my collection (hint, hint!). She has great artistic talents combined with an understanding of flavors and casual style of cooking that we can all replicate, even in a small home kitchen. I find her personality calming and her eclectic recipes quite unique. One website I highly recommend that has a huge assortment of Italian dinnerware and was created by a mother and her two daughters. The women had taken a trip to Italy and were so amazed by the gorgeous dinnerware that they created a collection of some of the best products, www.vietri.com, including the red champagne glass picture here and they offer holiday themed items and a wide variety of ceramic dishes in bold colors and unique designs. 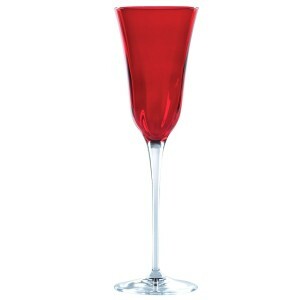 I have a set of these red glasses, and once they go on the table – the whole room screams Christmas for me! I love the handmade craftsmanship of Italian glass, as mentioned when I designed my renovated kitchen around the Murano glass pendent lights, see Kitchen Diaries, I trust that when an Italian makes my glass product it is the highest of quality! I would also recommend a locally created cookbook, that tells the stories and shares the recipes from Arthur Ave. in the Bronx, NY. Italian immigrants have been operating their specialty shops for many decades (think hanging cheeses, hanging sausages, Panettone, big round loaves of bread, handmade fettuccine hanging from the rafters, etc). After visiting Arthur Avenue myself, I would say this book is legit: The Arthur Avenue Cookbook. If you are looking to give something more extravagant, you could include this book in a lovely gift basket, filled with unique shaped pastas, some Parmesan cheese, maybe a little olive oil, garlic and a jar of your homemade 20-minute sauce! That would be the perfect gift basket for anyone who appreciates the foods of Italy. ion. 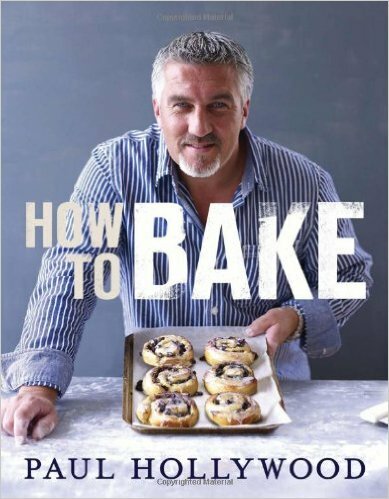 Try his 2013 book “How to Bake” as a gift for an American baker that may not know of this baking expert from across the pond. 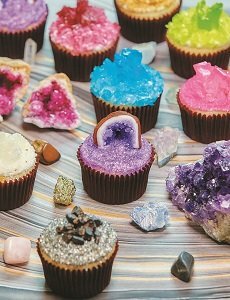 published in 2010: “Baked Explorations: Classic American Desserts Reinvented“. I proceeded to purchase a copy that week! 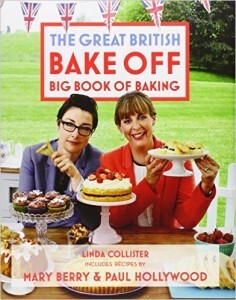 I found more than a few very interesting recipes in this book, and am having fun trying them out. The photos are mouthwatering, and they offer quite a lot of tips and secrets. The authors, Matt Lewis and Renato Poliafito, left their day jobs in advertising to open their bakery, Baked, in Brooklyn, NY, to rave reviews that led to another bakery in South Carolina and a line of products. I always love to hear a success story of careers shifting toward food later in life, gives me hope! C alling All Science Kids (who love sweets)! o is also great in the kitchen! See sample cupcakes to the right. 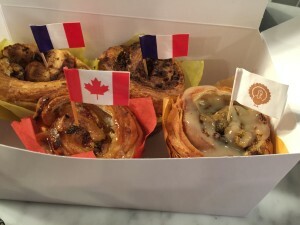 Savory: If you’ll remember, last Fall I told you about the Bruffin, this new sensation I tried at a NYC Gansvoort Market. I now see that Oprah got wind of it and it made her list of favorite things! Brav o Bruffin! This tasty item was one of my favorite savory treats ever. Each Bruffin is like a meal, and so delicious, crispy and flavorful, it defies explanation. You just need to try one and you’ll be hooked (might be hard to give away, actually). filled with love, just be careful, if you make them too yummy you will be the designated holiday chef for life, like I have become! 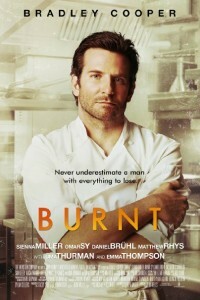 I watched Burnt with Bradely Cooper in the theater and just loved it. So much more emotional than I expected, and the acting was very high level, sucking you into the drama immediately. The food is fantastic to look at, the backdrop is London (obviously my favorite) an d can we say that Bradley Cooper (even when they try to humanize him with a little belly and some facial hair) is still one of the nicest actors to watch? Burnt is available now for pre-order on DVD, get in line behind me! 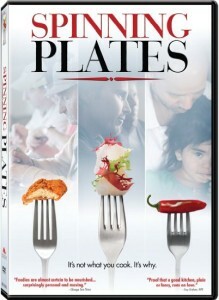 Regarding food movies, I also recommend “Spinning Plates” a moving documentary about three different restaurants and the families behind them. This was at times very sad, at times triumphant, and filled with great lessons for the older kids on hard work, community spirit and the tough realities of the restaurant business. My pre-teen kids learned a great deal from Spinning Plates. A little lighter for the young kids wasthe “The Hundred Foot Journey” with Helen Mirren, about two battling restaurants and cultures, very uplifting and another celebration of great food that my children loved. I imagine any foodie friend would appreciate a basket with a couple of these movies and some high end snacks to create a fun movie night (maybe even include one of those super soft throw blankets in there for comfort! ).